LOCATION CHANGE!!! Once again I had some fun with the 1930s stuff in this page, if by "fun" you mean "being a control freak about historical accuracy and immediately regretting all your life choices." I cycled through a lot of reference photos for 1930s hospital wards, found none that I liked, and decided to rewatch my favorite movie -- Tarsem Singh's "The Fall" -- for inspiration, because I remembered half of it is set in a hospital in the 20s/30s. But mostly, I just wanted an excuse to watch something with Lee Pace in it. The man designing the text in this scene is the real-world typographer Stanley Morison. The reason most of the type is already drawn in this scene is that Stanley is supposed to be finalizing the designs made by another typographer, named Victor Lardent -- although there's some controversy about whether or not his designs were 100% his own work! I purposefully didn't draw Stanley's face in much detail, because there's only about one image of him that seems to exist from around 1931. So he can just be a generic Glasses Dude, i guess, since this is his only scene in the comic anyway. Sorry Stanley. The Fall is a great, under appreciated gem. One beautiful film. Oh! A fellow fan! It's truly an amazing movie, I wish more people would watch it. I love those lil' real world font references, that's so cool. I can tell you've worked hard on this! 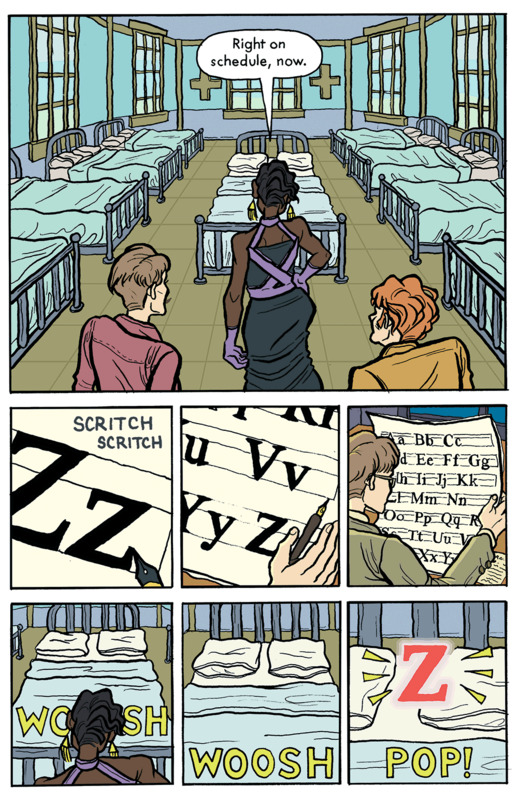 When I was first developing this story, I wasn't going to show this scene, but I decided it was the best way to show the process of a font being created instead of just having characters tell the audience how it works...but then when I picked TNR for the scene, I realized I'd really have to research it to do it right, haha! I applaud your commitment to accuracy! It always bugs me when I find really simple inaccuracies in films and shows lmao. Thank you!!! It's honestly just like a weird compulsion for me that everything has to be as accurate as I can get it...I even made up names & backstories for the two nameless font attendants so that they'd be fonts created before 1931...!